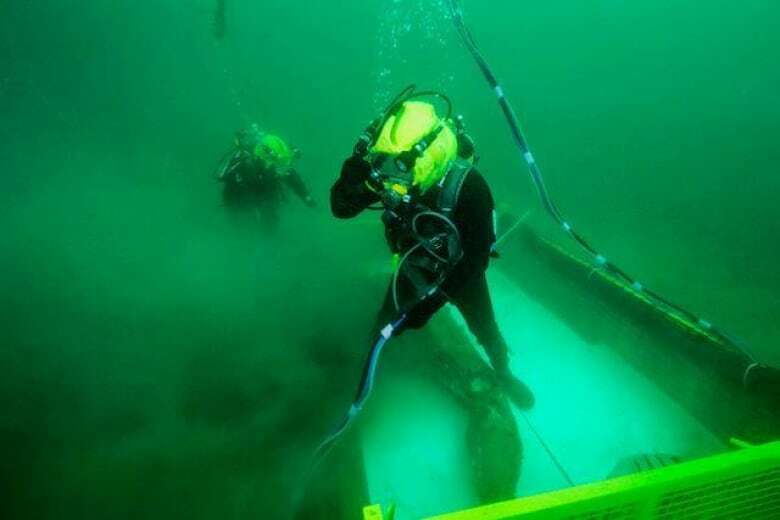 An iconic piece of Canada's aviation history has been pulled from the depths of Lake Ontario, and now the team that recovered it is hoping to find more beneath the waves. 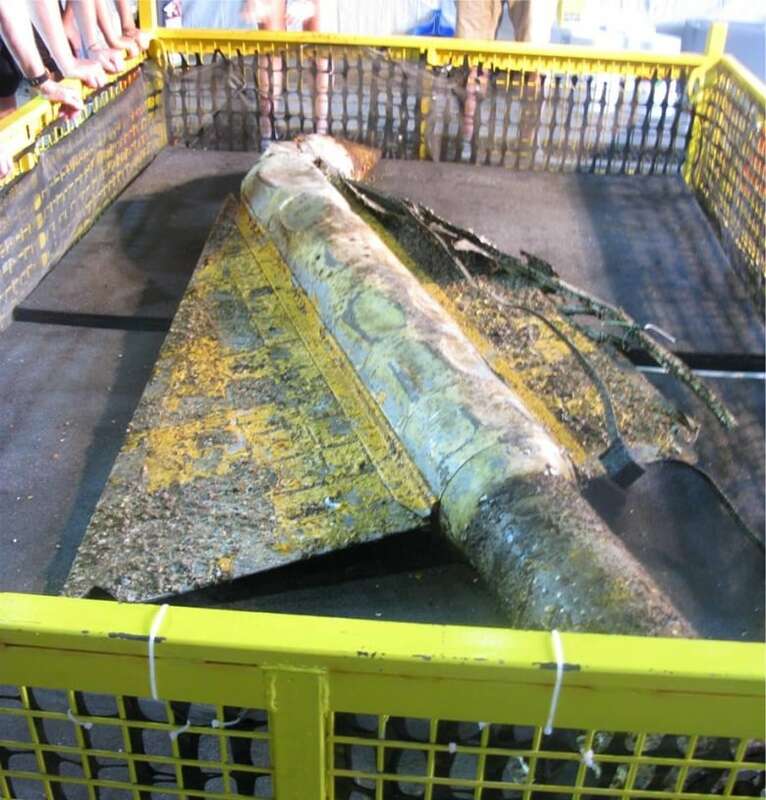 Divers brought what is believed to be a scale model of the Avro Arrow to the surface last week off Prince Edward, and delivered it to the Canada Aviation and Space Museum on Tuesday. 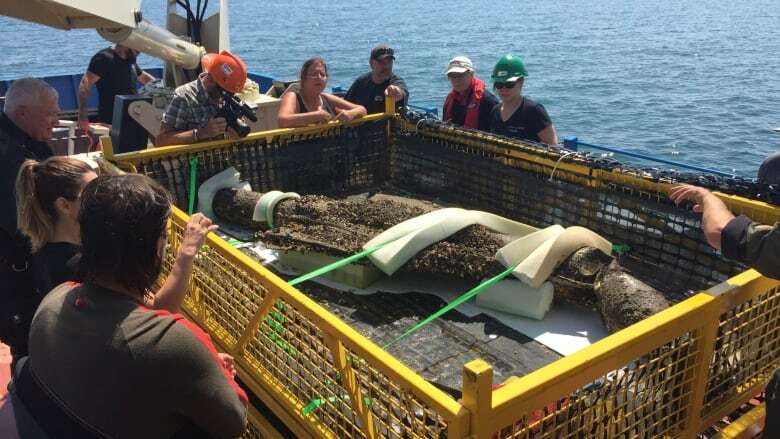 Since last September, a series of models has been found at the bottom of Lake Ontario. The recovered model is about three metres long — a 1/8 scale of the actual plane, according to Erin Gregory, an assistant curator at the museum. "It looks like a rocket with large triangular wings," she said. The Canadian Conservation Institute and the museum will oversee conservation and restoration of the models. What they found last week isn't the full replica of the Arrow the search group was hoping to find. Instead they believe the smaller model was meant to test the delta wing design — the triangular shape the plane was known for. Several different models were flown for testing over Lake Ontario between 1954 and 1957 as the plane was being developed. "The delta wing was a relatively new concept at that point, so it required a lot of testing to determine whether or not it would perform well, particularly at supersonic speeds," Gregory said. The test was conducted at such a high speed the nose of the model was likely bent when it hit the water, Gregory said. John Burzynski, the leader of the search group, said he's happy they recovered the model and plan to recover anything they find, but that the real prize would be one of the last five versions tested before a fully functional jet was built. "The original object of the survey was to find one of those last five. It's very identifiable as an exact replica of the flying plane," Bruzynski said. The Avro Arrow was the first and only supersonic interceptor built in Canada, developed to respond to Soviet bombers that could attack North America by flying over the Arctic. In 1959, the Arrow program was suddenly cancelled. Six completed planes and related construction material were destroyed. Finding the models and being able to see the progression of the program highlights Canadian ingenuity, Gregory said. "[It] speaks to the science, technology and engineering that went into the production of the greatest plane that never was." Four other models have been located on the bottom of the lake, and Burzynski said his team plans to bring them up next summer and hopefully locate more. "The Avro has been in the forefront of a lot of Canadians' minds over the years. It's really more of a piece of living history."